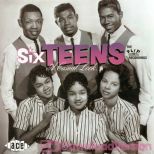 Barely a teenager when the song was recorded, Trudy Williams' plaintive lead on the Six Teens' A Casual Look is one of the haunting memories of the classic age of the doo wop sound. 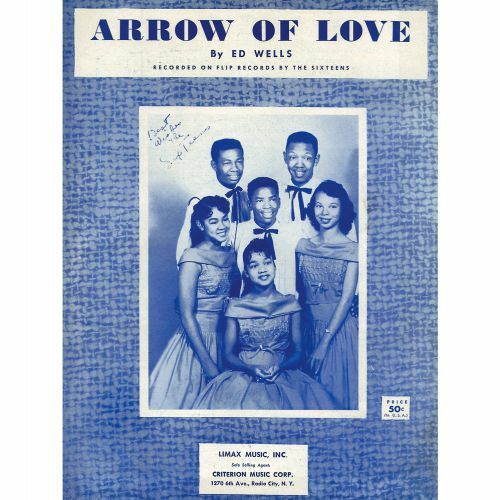 Initially taken along by her elder sister Louise to a rehearsal of the Los Angeles-based group founded by songwriter Ed Wells, Trudy was voted in as a member after they heard her voice. She became the sixth teen even though she hadn't really qualified for the title. 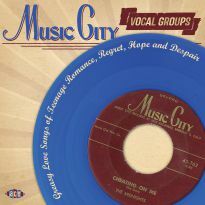 Their first recording, done in March 1956, produced one of the most durable sounds of the vocal group era and one which is still to be heard on oldies radio today. Written by Ed Wells, A Casual Look made it to #7 on the R&B lists and #25 in the pop chart. and attracted cover versions. 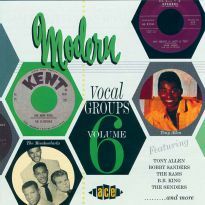 One of the best was by Little Clydie & The Teens on RPM which can be found on MODERN VOCAL GROUPS Vol 4 (Ace CDCHD 764). 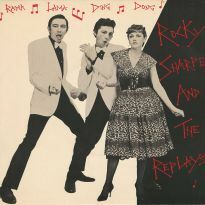 A Casual Look started a career for the group on Los Angeles' Flip label for which they recorded no less than a dozen singles. 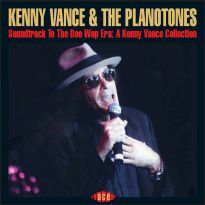 All of these are included on this CD, a collection of their complete recordings for the label. 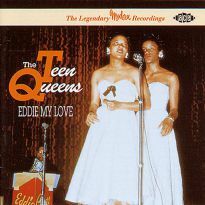 It features 25 tracks since, in addition to the version of Teenage Promise released as by the Six Teens, Trudy and her sister recorded a faster version which was released as late as 1963 as by Trudy and Louise. Label billing was something that changed quite a bit for the group. 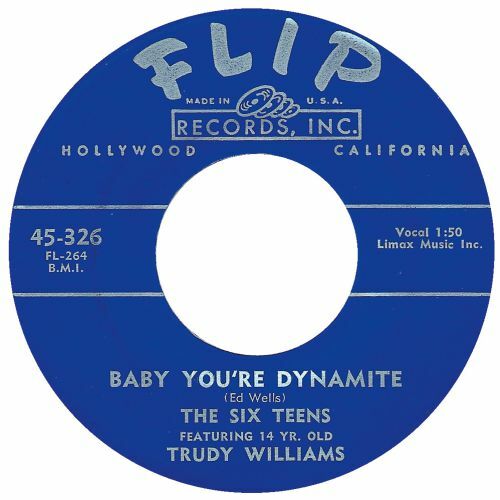 Starting with the vanilla Six Teens name, there were several records that carried the group name featuring 14 Yr. old Trudy Williams or just plain Trudy Williams. One release You're My Boyfriend / A Foolish Little Girl even foreswore the name of the group and was released as by Trudy Williams with vocal accompaniment. 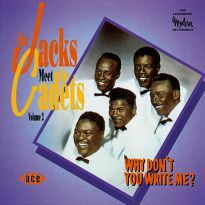 Despite the changes of billing, the group members were fairly much the same throughout their recording career. As well as Trudy, her sister Louise and the group's founder Ed Wells, the Six Teens comprised Kenny Sinclair, Darryl Lewis and Beverly Pecot. 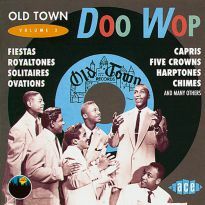 Louise and Beverly also 'moonlighted' for the label behind lead Richard Owens as the Ivy Leaguers and can be heard on Deposit Your Love (In The Bank Of My Heart), another Ed Wells-penned ballad, on the compilation Flip Doo Wop Vol 2 (Ace CDCHD 838). 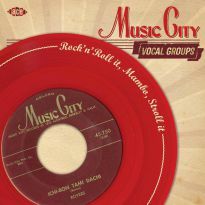 In 1957, Kenny Sinclair left the group and was replaced by Richard Owens. He then, in turn, was replaced by Jimmie Smith. Trudy and Jimmie can be heard duetting on the up-tempo So Happy. 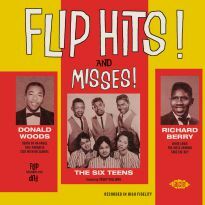 Kenny, Darryl and Jimmy also recorded for the Flip label as the Elgins. 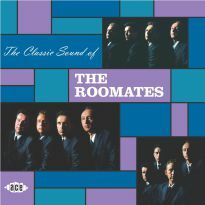 One of the keys to the the success of the group lies with the nature of the songs that Ed Wells put together for them. 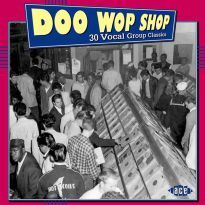 Many of these were 'story' songs whose lyrics progressed throughout the number as opposed to the more repetitive and more ephemeral lyrics which were quite common in the second half of the 50s. Good examples are Afar Into The Night, Only Jim, Was It A Dream Of Mine, and My Surprise. As the group grew up together through what Beverly Pecot calls the 'age of innocence', their material grew more mature in tone. 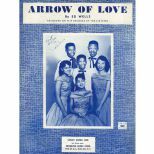 This is reflected in selections like Love's A Funny That Way, Heaven Knows I Love You, That Wonderful Secret Of Love and one of the few songs not written by Ed Wells, the Richard Berry-penned A Foolish Little Girl. 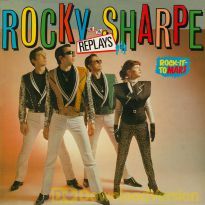 However the group called the changes, they unfortunately never repeated their initial success of A Casual Look and with the end of the Flip label, they went their separate ways. The 1990s saw the Six Teens re-formed and they appeared on radio and in oldies shows. Ed Wells and Richard Owens have unfortunately passed away recently, but Kenny Sinclair, Darryl Lewis and Jimmie Smith are still performing in a re-formed Elgins group, along with original member William DeVase. 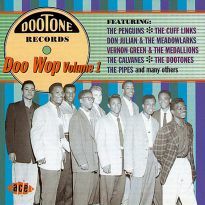 The Elgins will feature in the forthcoming compilation FLIP DOO WOP - VOLUME 3. 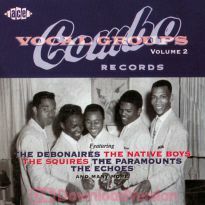 Compiled by Gordon Skadberg and the guys at Early Bird Records, the CD's extensive notes feature interviews with the surviving group members. 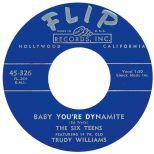 The group may never have had an album in their career but now there's a chance to hear the complete catalogue of Trudy Williams and the Six Teens on Flip Records.